EURAXESS North America links researchers in North America with the European Research Area. We provide free information and events on research funding, research careers and collaboration opportunities with Europe. Become a member of our research community and access information about fellowships, grants, collaboration opportunities and much more! Marie Sklodowska-Curie Actions (MSCA) Individual Fellowship 2019 Call OPEN! If the widget does not display, please reload the page or check if twitter is blocked. If the widget does not display, please reload the page or check if facebook is blocked. "I believe the MSCA Fellowship has provided me with one of the greatest experiences in academia a scientist could ever have and wish for. 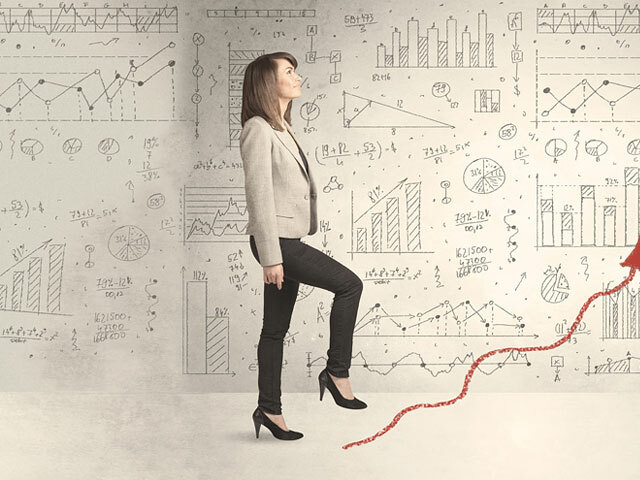 It has allowed me to position myself better in the labor market and to achieve the level of scientific maturity I needed to understand where to steer my career next. I’ve become more interested in the past years in the topic of closing the knowledge-implementation gap in conservation science and that’s what I want to do next. I’m currently looking and applying for opportunities that will allow me to do just that and hopefully the fact that I’ve been recently invited to edit a book on the topic will help differentiate my expertise and increase my chances to get a position." "While several activities organized by the European Commission have facilitated exchange between Marie Curie fellows in the area, EURAXESS North America, through their website and presentations at US institutions, provides valuable information for funding opportunities and career prospects for both Europeans and Americans in the US, Canada and Europe. If both Europeans and Americans use these opportunities, this will increase valuable Trans-Atlantic scientific exchange." "I think it is extremely important for researchers to have a mentor. Mentors can help when you’re stuck with a problem, aren’t sure where to go, or even just need a confidence boost. I’ve been privy to situations where people did not have good mentors and it’s really frustrating to not have any of that support. I have been lucky that during my Bachelors and Masters programs I had fantastic mentors – people who still check in with me to this day and who I can go to for advice on all sorts of matters. Having that type of professional and personal support has been paramount for my career and personal development." "Research is international, and ideas travel through people. Mobility between countries can be a huge boost to your career. It can be a great personal experience, too: my partner was able to follow me, so got a first opportunity to live abroad. Some fellowships, including the Marie Skłodowska Curie Individual Fellowship, provide generous funding for an accompanying family." "Freeing up time to concentrate was the most important gift of the ERC, but being able to assemble both the project and a research team completely as I saw fit has also been intensely rewarding and liberating. This was the first time in my research that my two interests of composition and ethnomusicology truly could come together in an organic way." Find partners for your research cooperation or hosts for your mobility projects within the EURAXESS community! Browse our database and create personalised alerts for funding which includes hundreds of available funding/support opportunities for research cooperation and mobility between North America and Europe. Use our job search portal to find the job offer that furthers your career in research! Find out more about European scientific and innovation cooperation with the USA and Canada. There are numerous opportunities for travel and research collaboration between Europe, the USA, and Canada. The network of EU Centers of Excellence in the USA and Canada promotes the study of the EU, its institutions and policies, and EU-U.S. relations through teaching, scholarly research, and outreach activities to local and regional communities. The European Commission funds this initiative as part of a broader effort to promote people-to-people ties across the Atlantic. Under the new European Union financial framework, the EU Centers of Excellence program will be streamlined into the global network of the distinguished Jean Monnet program, funded through Erasmus+. The Jean Monnet network is a globally renowned brand, present in 78 countries around the world and involves more than 800 higher education institutions. The Jean Monnet program will provide opportunities for students and teachers/professors across the United States and Canada to engage with the European Union, its institutions, policies, and processes through academic study, teaching, and research. The network of EU Centers of Excellence, housed at major research universities, promotes the study of the European Union and EU-US relations through teaching programs, scholarly research and outreach activities. Since it was launched in 1998, the EU Centers of Excellence program has played a vital role in highlighting the importance of the transatlantic relationship and helped inform students and the public at large about the European Union. In recognition of the high quality, variety and depth of their EU studies activities, which promote the study of the EU and EU-Canada relations through teaching programmes, scholarly research and outreach activities in their local and regional communities. The Canadian Network coordinator is the University of Carleton in Ottawa. Since 2014, the 25-year-old Jean Monnet Programme has been incorporated into the new Erasmus+ programme as the Jean Monnet Activities. The Jean Monnet Activities aim at promoting excellence in teaching and research in the field of European Union studies worldwide. These Activities also focus on fostering the dialogue between the academic world and policy-makers, in particular with the aim of enhancing governance of EU policies. Opportunities are available to higher education institutions worldwide. Furthermore, opportunities are available for professors and researchers at institutions whom specialise in European Union studies. Getting to Know Europe (GTKE) is a program funded by the European Union under objective four of the Partnership Instrument. GTKE promotes greater knowledge and understanding, within local and regional communities in the United States, of the European Union, its international role, its policies, its culture, and the value and the significance of the EU-US transatlantic partnership. The European Commission is supporting these institutions for projects submitted for the 2015-2017 competition and will be implemented from September 1, 2015 to August 31, 2017. The ACS International Center is a new scientific resource for information on scholarships, grants, internships, and other opportunities to bolster your international experience. The "Research in Germany" portal offers information on research institutes, key research areas as well as funding and career opportunities. It also delivers daily research news from Germany and upcoming German events at home and abroad. The web guide contains more than 300 annotated links to important research and science websites in Germany. The new BILAT USA 4.0 project, funded by the European Union, has started on 1 February 2016. 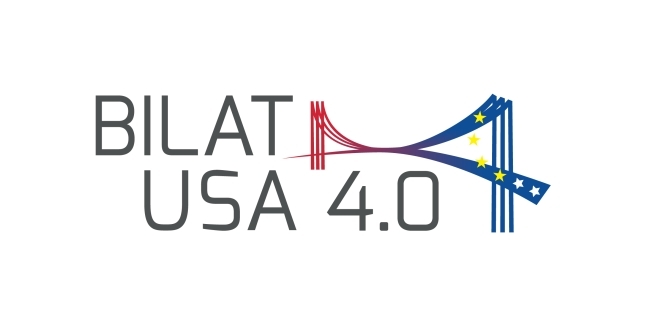 BILAT USA 4.0 continues activities started by the predecessor project BILAT USA 2.0 with the overall aim to enhance, support and further develop the research and innovation cooperation between the European Union and the United States of America. The goal of EACC's New York Chapter is to stimulate business development, and to facilitate networking and relationships between European and American businesses and professional organizations. The EACC is a dynamic network of transatlantic business executives with a combined membership of over 600 member companies in Europe and the US. ERA-Can+ promotes cooperation between the European Union and Canada in science, technology and innovation with a broad range of activities. EURAXESS North America is a network of researchers of all nationalities who are currently residing in the USA or Canada. There are also a number of national networks of researchers and scholars (European Scientific Diasporas) in North America providing information of specific relevance to each country. These European scientists are a great resource for their home country as well as their ‘adopted’ one. EURAXESS acts as a European platform where they can connect, share experience and learn from each other. We are the independent network of Austrian scientists and scholars in the USA, Canada and Mexico. Our members come all from different educational backgrounds: from economy to physics, from life sciences to marine biology and arts. We are organized in chapters within North America and have a strong alumni organization back home in Austria and Germany. Our Austrian chapter maintains a strong cooperation with official institutions such as the Federal Ministries, the FWF, the FFG and the Austrian Academy of Sciences. RINA is the network of Austrian researchers and innovators in North America. It provides a basis for exchanges between the scientific and entrepreneurial communities in North America with Austria. The Belgian-American Network is an initiative of The Embassy of Belgium in the United-States of America. The purpose of this group is to connect people who have special ties with Belgium and the USA. For example, Belgians who have studied, worked, lived in the USA or still do and Americans who have studied, worked, lived in Belgium or still do. Belgian professionals resident abroad are keen to know where other overseas Belgian people are located so they can get in touch to exchange experiences on business matters and practical issues related to living in the new home country. It is a global network which Belgian expats can call upon when they relocate to another country and have to integrate into a new society. ACAP members represent all facets of the international professional community, such as scientists, doctors, engineers, attorneys, artists, journalists, business executives, accountants, etc. We welcome individuals of non-Croatian heritage who are active in the Croatian community. The Association of Croatian American Professionals was founded in 2014. Work with other Croatian-American organizations and Croatian organizations around the world on matters of common concern. Fr@NIH is a group of French and francophone scientists working at the National Institutes of Health (NIH) in the greater Washington DC area (Bethesda, Baltimore, and Frederick). The organization is independent of the NIH and provides information to help post-docs who are working at the NIH and living in the greater Washington area. Members of the French-American scientific community who have established lasting bilateral relationships are uniquely positioned to promote stronger French-American scientific collaborations. They have the mutual desire to increase the sharing of knowledge and to reinforce international alliances. Through the annual “Networking Event in Science and Technology” (NEST), the Office for Science and Technology of the Embassy of France in Washington, DC seeks to bring together and honor these scientific alumni who are familiar with research in both France and the United States. The members of this community serve as true scientific ambassadors between our two countries. NEST is above all a convivial occasion to meet and exchange information among researchers, entrepreneurs and decision makers. It is also an opportunity for these alumni to come together for a high-level scientific event. American Friends of the Alexander von Humboldt Foundation (AFAvH) is the professional partner of the Alexander von Humboldt Foundation (AvH). Based in Washington, D.C., American Friends promotes the sponsorship programs of the AvH at scientific and professional meetings in the US in order to expand the pool of future “Humboldtians.” Through its Alumni Council, the “Humboldtians on Campus” program, various alumni activities, and its website and blog, American Friends supports and strengthens the community of over 5000 alumni of the Humboldt Foundation in the United States. AFAvH also engages US alumni and other thought leaders in workshops and other programs exploring key issues related to the globalization of the research enterprise and the implications of global science for US universities and research careers. 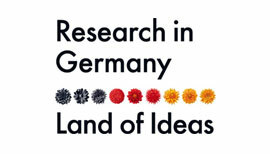 GAIN, the German Academic International Network of German scholars and scientists in North America. The DFG North America Office facilitates contact between scientists and researchers in Germany and North America and organizes outreach activities to showcase German research in the region. The German Scholars Organization e.V. (GSO) is a non-profit organization with headquarters in Berlin (Germany) and a representation in San Francisco (USA). It was founded in 2003 by German scientists and company representatives. The GSO maintains a global network of researchers and provides them with information and insights from the German job market. 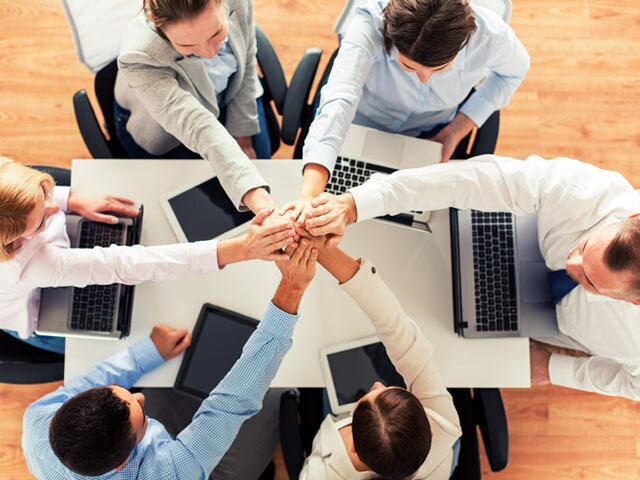 The GSO connects top talents with their peers around the world and helps them to find positions in Germany. Moreover, it offers employers access to this highly attractive target group. The GSO thus drives the competitiveness of universities and businesses and helps to ensure Germany’s continued future as a land of ideas. This is an initiative undertaken by doctors of Greek origin or descent with the vision to enhance networking, scholarship donations, collaboration among Hellenic medical societies, and interaction with national and international medical/health organizations. It has more than 400 members across all the states of USA and is aimed to promote and facilitate interactions between scientists of Hellenic origin in the USA and with universities in Greece. The Hellenic Medical Society (HMS) has its origins in the Greek-American Medical Fraternity, an organization co-founded by the renowned physician George N. Papanicolaou during the First World War. In1924, the Greek-American Medical Fraternity changed its name to the Greek-American Intercollegiate Club and broadened its scope. In 1936, Dr. Coryllos with other members of the Hellenic University Club formed The Hellenic Medical Society (HMS), a professional organization of physicians. In 1971, the society obtained tax-exempt status as an educational organization HMS by-laws were revised again in 1983. To meet the government's urgent need for an independent adviser on scientific matters, President Lincoln signed a congressional charter forming the National Academy of Sciences in 1863 to "investigate, examine, experiment, and report upon any subject of science." As science began to play an ever-increasing role in national priorities and public life, the National Academy of Sciences eventually expanded to include the National Research Council in 1916, the National Academy of Engineering in 1964, and the Institute of Medicine in 1970. It is an organization of physicians, dentists, scientists, and allied health professionals who are either permanent residents or citizens of the United States. Its members either live in, or are enrolled in a medical, dental, or allied health degree or fellowship program, in the New England area. The NEHMDS exists for charitable, educational, civic, and scientific purposes. It provides scholarships and professional mentoring to medical, dental, and allied health students. In addition, the Society provides a forum for its members to network and disseminate knowledge, serving to enhance the quality of healthcare being delivered. Neumann Society is a California 501(c)(3) charitable nonprofit organization set out to create and connect impactful innovation communities. NS promotes the advancement of socially responsible innovation in the fields of education, science, technology and entrepreneurship. The aim is to create and to augment innovation cooperation and knowledge transfer in fields such as education, entrepreneurship, scientific collaboration and thought exchange within the American-Hungarian community and between Hungary and the US. Tomorrow, with a growing set of partners and members NS shall be a transatlantic community of game-changing, mission-driven innovators from all disciplines who together shape our future. NYHSS is nonprofit corporation organized exclusively for charitable, scientific and educational purposes. Its goals are to provide a distinctive meeting place for active participants of New York's Hungarian scientific and intellectual community in a club-like environment. The Society provides a venue for Hungarian scholars, scientists and students to gather for the promotion of science, culture and the dialog between the Hungarian and New York economic, scientific and public life. An All-Ireland Professional Network enabling connection, communication and collaboration of the Irish scientific, technological and engineering Diaspora. The Network has a worldwide reach and welcomes as members individuals with an abiding and professional interest in the intersection of science, technology and engineering with policy, research and development. 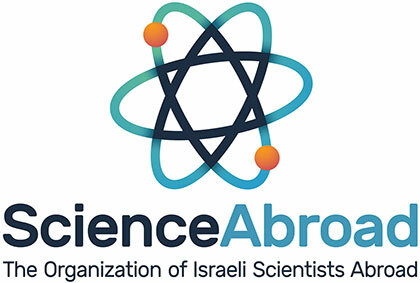 ScienceAbroad is an Israel-based nonprofit organization that harnesses the power of senior Israeli scientists overseas. Through its wide-reaching professional and social network, ScienceAbroad inspires connections with local Jewish communities, international scientists and Israel. This network advances scientific achievements, bolsters the Israeli identity of scientists living overseas, and helps facilitate the return of great minds to Israel. To ease the return of Israel’s great minds and therefore strengthen Israeli R&D. We create a dynamic network for Israeli scientists, providing valuable tools and connections to facilitate their return to Israel. Annual conference for the volunteer regional directors. Annual International Regional managers conference – November 2018 I Washington DC. Under the auspices of the Italian Ambassador to the United States, ISSNAF was established in 2008 by 37 prominent Italian scientists and scholars in North America, amongst them four Nobel Prizes. ISSNAF (Italian Scientists and Scholars in North America Foundation) is a 501c(3) not-for- profit organization whose mission is to promote scientific, academic and technological cooperation amongst Italian researchers and scholars active in North America and the world of research in Italy. The Polish Institute of Arts & Sciences of America (PIASA) is a national notfor-profit 501 c (3) tax exempt, academic, cultural organization founded in 1942. It maintains a center of learning and culture devoted to the advancement of knowledge about Poland and Polish America in the United States. Since 1986 its national headquarters is a five story townhouse on 208 East 30th Street, New York, N.Y. 10016 in the Murray Hill section of Manhattan. The townhouse not only contains administrative and editorial offices, but also houses a specialized reference library and rich archives frequently visited by researchers from various parts of this country as well as from Poland. It also has an art gallery and small lecture hall where exhibits and lectures are organized. Founded in 1998, the Portuguese American Postgraduate Society is an independent, non-profit organization, with no political affiliations and with the objective of promoting Portuguese students, researchers, entrepreneurs and artists working in the United States to both their host and home countries. Over the years PAPS has been involved in several outreach actions that culminate in a yearly Forum taking place in the USA. Initiated by the Slovak Embassy in Washington DC, VISIoN is the LinkedIn network of Slovak scientists, researchers and entrepreneurs in the United States or with special ties to Slovakia and the USA. ASEF is The American Slovenian Education Foundation that supports a broadly diverse community of highly talented, prospective students to build a community of educators and leaders of excellence, character and service. The Foundation will aim at enhancing American and Slovenian education activities, uniting Slovenian scholars and educators globally. The Foundation will offer a variety of high-impact grant and endowment programs, teaching and learning materials, as well as foreign exchange of students and faculty. Our goal is to provide American businesses opportunities to invest and expand their presence in Slovenia and other Central and Eastern European countries. Drustvo v tujini izobrazenih Slovencev (Association of Slovenes Educated Abroad) is the first association of its kind in Slovenia and strives to create a platform for Slovenes who were previously or are currently studying or researching at institutions outside of Slovenia. The prime purpose of the Association is to bring together and represent the interests of Slovene citizens who were educated or conducted research outside of Slovenia. The Association will aim to build ties between its members and strengthen their link with Slovenia. Founded in 1973 as a society of academics committed to the promotion of Slovene studies in the United States and Canada, the Society for Slovene Studies is today an internationally recognized association of scholars with members in many countries of the world, dedicated to investigating Slovene culture; furthering interest in Slovene culture outside its native realm; generating scholarly research; and integrating the results of that research into broader scholarly syntheses. ECUSA is a non-profit association of Science professionals with affinity to Spain and the USA. The objectives are: to establish a network for the interaction of scientists in the USA; to increase the social awareness of Science and technology by bringing together scientists and the general community; to create a formal body for scientists that can serve as point of contact for Spanish and American institutions. Founded in Washington, DC in 2014, it has two established chapters in Boston and New York City. Turkish American Scientists and Scholars Association(TASSA) is an independent,non-profit and non-political organization established in June 2004 in Washington,DC. TASSA's first Board was officially seated on February 18,2005,after the announcement of the results of the elections.In 2010 TASSA operations were transferred to a Transition Team after a Special General Assembly, on April 26,2010.A new board,which was elected during the 2012 Conference,continued the operations.We appreciate the contributions of countless individuals who spent their valuable time and efforts in bringing TASSA to this point. Peruse the useful information we gathered for you. Find out more about Horizon 2020 - the largest EU funding programme for research and innovation - and more! Horizon 2020, the EU's current framework programme for research and innovation runs from 2014 to 2020 with a budget of nearly EUR 80 billion. Horizon 2020 is fully open to international cooperation. The biggest EU research and innovation programme ever, Horizon 2020 is based on 3 pillars: Excellent Science, Industrial Leadership and Societal Challenges. The European Research Council (ERC) is a flagship component of Horizon 2020’s Excellent Science. ERC is a top funding body providing funding for excellent researchers of any nationality, to carry out frontier research in Europe, via annual calls. The ERC's mission is to encourage the highest quality research in Europe through competitive funding and to support investigator-driven frontier research across all fields, on the basis of scientific excellence. The Marie Skłodowska-Curie Actions (MSCA) under Horizon 2020’s Excellent Science pillar provide grants for all stages of researchers' careers and encourage transnational, intersectoral and interdisciplinary mobility. The MSCA enable research-focused organisations (universities, research centres, and companies) to host talented foreign researchers and to create strategic partnerships with leading institutions worldwide. The MSCA are open to all domains of research and innovation. Erasmus+ has opportunities for a wide range of organisations, including universities, education and training providers, think-tanks, research organisations, and private businesses. Canada and the USA are partner countries in Erasmus+. North American institutions can join partnerships, individual North American students can apply for Joint Master Degrees. North American researchers can also individually apply for Jean Monnet Actions that foster study of European integration. The European Union has concluded bi-lateral S&T agreements with a number of individual countries. These agreements constitute a framework and a privileged forum to identify common interests, priorities, policy dialogue, and the necessary tools for S&T collaboration. S&T Agreements are in place also with Canada and the United States of America. We promote researcher mobility and cooperation. Researchers of all nationalities, all disciplines, and at all career stages are the people we assist. Membership is free! Our community has over 5,000 researchers, managers and students who are interested in collaborations between Europe and North America.